There have been many books published about the design, conduct and analysis of clinical trials. Why are osteoporosis trials a special case deserving a book of their own? There are three main reasons. Firstly, most diseases have a well-understood definition and etiology. 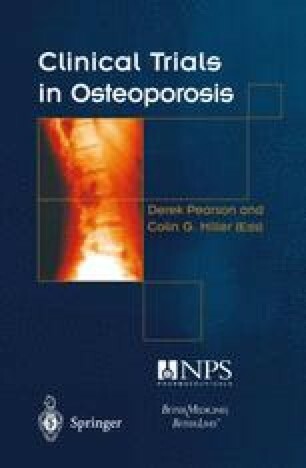 Osteoporosis is a disease that is understood by those working in it, but currently has no definition that is agreeable across the medical and scientific community and a poorly understood etiology. It is within this framework that the pharmaceutical industry is trying to develop new treatments for the so-called “silent epidemic”. National Institutes of Health Consensus Development Conference Statement: Osteoporosis Prevention, Diagnosis, and Therapy March 27–29, 2000 ( http://odp.od.nih.gov/consensus/cons/111/111 _statement.pdf).